A GRIP ON SPORTS • Is August the Sunday of summer? You know, the summer month you really can’t enjoy because school is right around the corner. Or is it the best of the summer months? Read on. • As a kid, when the calendar turned over to August, there was a sense of urgency. But August also meant football was starting soon. And that was something to look forward to. Before it began, though, there was always the little matter of watching the baseball pennant races play out. Which, around these parts, is for adults as dreaded as school’s start is for children. The inevitability of the Mariners falling to pieces is as expected as buying a new three-ring binder and a box of crayons. 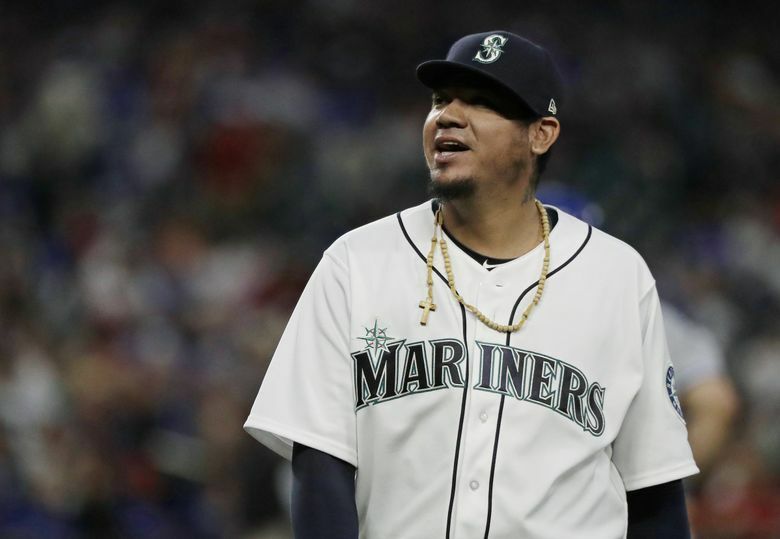 After last night’s loss – no, it was not Felix Hernandez’s fault – the M’s are no longer in the lead for a wild-card spot. The A’s passed them. It’s over. You can forget about the Mariners rallying, putting it all back together and making it into the postseason for the first time since 2001. Oh, they might do that. But you don’t have to watch. Football is underway. America’s favorite sport is here to save us. The annual rite of August is in full swing. The Seahawks have been practicing for a while now, dealing with the usual questions about money, personnel and their crappy offensive line. Today, though, football really takes over. Washington State begins preseason camp. So does UW. And Idaho. All other regional schools will follow in short order. Soon everyone will be getting ready for games. Before you know it, there will be football games to fill your weekend. Heck, there was one on TV last night, though I watched Felix’s start instead. But now that the M’s have lost and fallen out of the wild-card lead, this frontrunner can cast his gaze on the shiny, new football season. Everyone is undefeated, right? And there is a hope they will stay that way. At least until August is over – and school starts. 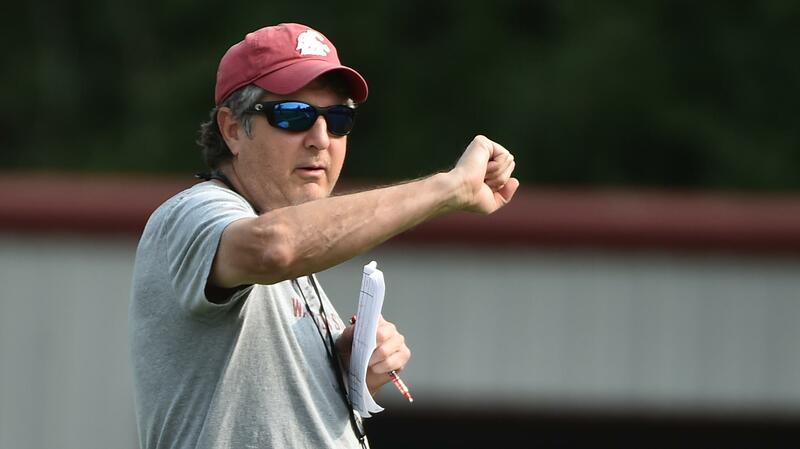 WSU: Before the Cougars take the practice field in Pullman today, coach Mike Leach answered questions from the media through the magic of a conference call. Theo Lawson dialed in (or is the correct term these days punched in? ), recorded what was said and put together a transcript of the questions and answers. … Theo also came up with five questions the Cougars need to answer before they leave Lewiston (after the first day in Pullman, as usual they spend the next couple weeks a few miles south). … Larry Weir talked with the voice of WSU, Matt Chazanow, for his latest Press Box pod. … The Times has a Cougar story, focusing on the quarterback position. … Tyler Hilinski’s mother is touring the country, speaking about mental health. She will be in Everett on Saturday. … Elsewhere in the Pac-12, Washington coach Chris Petersen also met with the media and spoke about many things. The Huskies open the season with Auburn though they’ll be without their top recruit. … Almost the entire Oregon State coaching staff is new. … Oregon is a little thin on the defensive front. … Whether Colorado improves or not may be dependent on the Buffs’ reading skills. … David Shaw was happy with what he saw as Stanford began practice yesterday. … It was a long wait, but Utah finally has a highly touted receiver on the field. … The football coaches at UCLA and USC will always be in the spotlight. … Arizona State is not going to finish where the media picked. … Arizona’s defense is not a one-man show. Gonzaga: Two former GU players, David Stockton and Drew Barham, signed contracts with German pro teams recently. Jim Meehan has stories on both signings. EWU: All good things must end, which means there is a finite time in college for everyone. Such is the case for former Central Valley High standout Beau Byus, who enters his last year at Eastern. Steve Christilaw has more in this story. Idaho: The past year has been a pretty tumultuous one for Idaho’s soccer team. But with a coaching change and the possibility of being disbanded behind them, the Vandals are happy to start practice. Peter Harriman gives us a look at what’s ahead for UI. Indians: Spokane was never really in the game last night in Eugene, losing 8-3. … Elsewhere in the Northwest League, Everett lost 4-2 to Boise. Chiefs: The training camp schedule is out. It starts August 23. Preps: Mt. Spokane’s AA Legion baseball team won the state title yesterday with a 4-3 comeback win over Kennewick. … One of the fastest growing youth sports in the area is lacrosse, an established staple in the East, but not as popular in this part of the country. That’s changing. Mariners: All eyes were on Hernandez last night, which seemed fair. And he did OK. Well enough, considering the alternatives, to keep his rotation spot. But the M’s lost sight of the ultimate goal: win. They didn’t do that, losing 8-3 to a struggling Toronto team. … Kyle Seager returned to the lineup and had a tough night. … Robinson Cano is working at first and third as he prepares to rejoin the team in a couple weeks. Seahawks: Veteran receiver Brandon Marshall may bring an added dimension to the Hawk offense. He showed as much yesterday. … Earl Thomas’ missive didn’t seem to have any effect on Seattle management. … A lot of other stuff went on yesterday in camp. Published: Aug. 3, 2018, 8:23 a.m.